Bridge Clearance W/Tower: 7 ft. 9 in. Draft - Stern Drive Down: 35 in. Draft - Stern Drive Up: 22 in. LOA W/Swim Platform: 19 ft. 6 in. Max Persons W/ Gear Weight: 1675 lb. Max Persons Weight: 1500 lb. 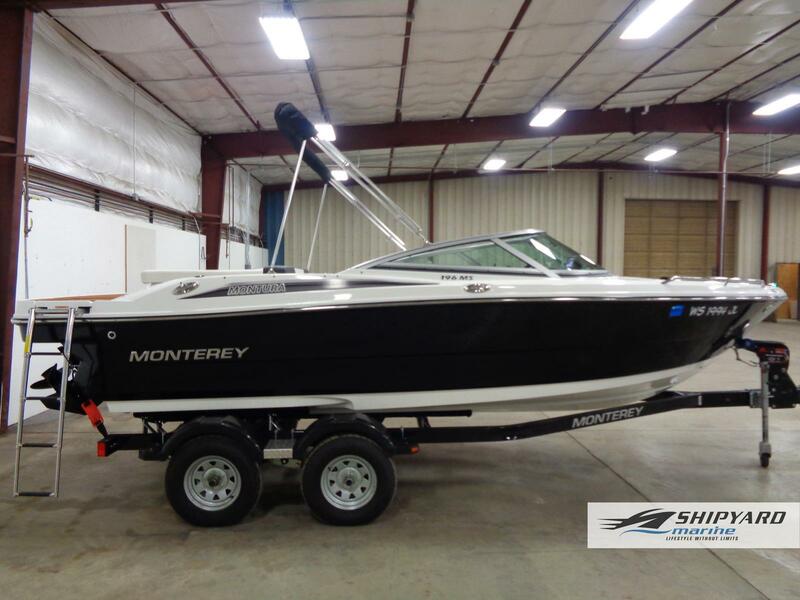 Show off the uncompromising and elegent style of your 196MS Sport Boat. Standard features include multiple cup holders, a swim ladder for easy boarding access, plenty of bow area seating and storage throughout. The 196MS is a powerful and chic performance machine, sure to make those around you envious! Stern Drive Down: 35 in. ; Stern Drive Up: 22 in.